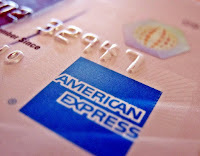 We've recently added a new credit card to the list of American Express credit cards we recommend. It's the Clear from American Express® card, and it offers 0% Intro APR on new credit card purchases for 12 months. The APR for balance transfers is 4.99%, with no balance transfer fee. "No fees of any kind." However, if you are the type of person who pays their bills on time, all the time, then this "no fees" marketing strategy is almost meaningless, since a person like you is very likely to avoid such fees in first place. Of course, if you are the sort who sometimes misses a payment, or you go over your credit limit every once in a while, then you may be very attracted to the fact that the Clear card has no fees. Though American Express won't charge you any fees for a late payment, they will report any late payments to the credit bureaus. Keep that in mind. Furthermore, if you are late with a payment more than once within a 12 month period, the folks at Amex may raise the APR associated with your account. Another characteristic about the Clear card that should be noted: every year, you get access to a "user-friendly" credit report and credit score. A great feature -- no doubt -- but I failed to find out which credit score and credit report they're offering: is it TransUnion, Experian or Equifax? Or is it some other proprietary credit score and report? Hmmmmm... Please post a comment if you know that answer. Thanks! The Discover More family of credit cards is still the top choice at this website, but the Citi® Upromise® , the Citi Home Rebate Platinum Select MasterCard® or the Citi Driver's Edge® Platinum Select® credit card may soon steal the #1 spot away from Discover, because with these three Citi cards, you can still transfer a credit card balance from a non-Citi credit card, pay no interests on the transferred balance for 12 months, and pay no balance transfer transaction fee. The Discover More cards still offer good value, but you now have to pay a transaction fee to transfer balances to any Discover More card. The American Express® Blue card is still quite popular, as the card still offers a highly attractive 0% Intro APR on new credit card purchases for 15 months.